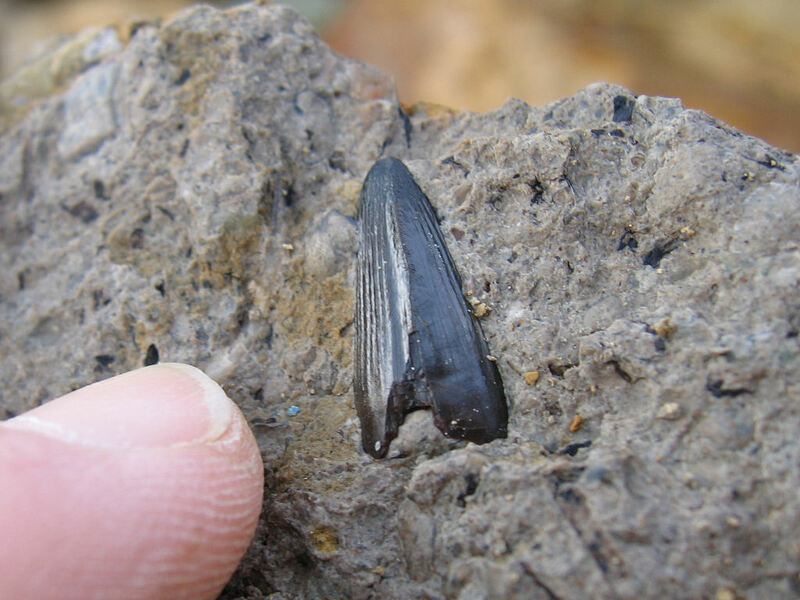 The modern use of the word ‘fossil’ refers to the physical evidence of former life from a period of time prior to recorded human history. 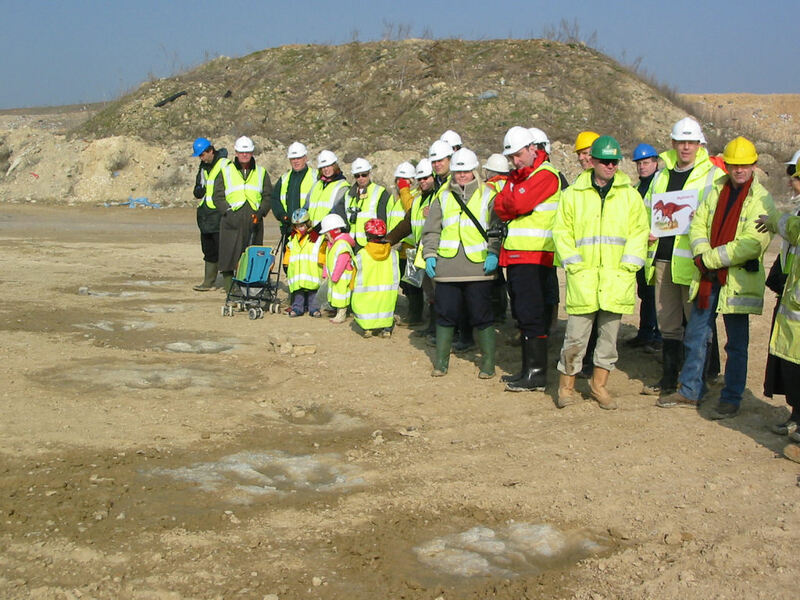 This prehistoric evidence includes the fossilised remains of living organisms, impressions and moulds of their physical form, and marks/traces created in the sediment by their activities. There is no universally agreed age at which the evidence can be termed fossilised, however it’s broadly understood to encompass anything more than a few thousand years. Such a definition includes our prehistoric human ancestry and the ice age fauna (e.g. 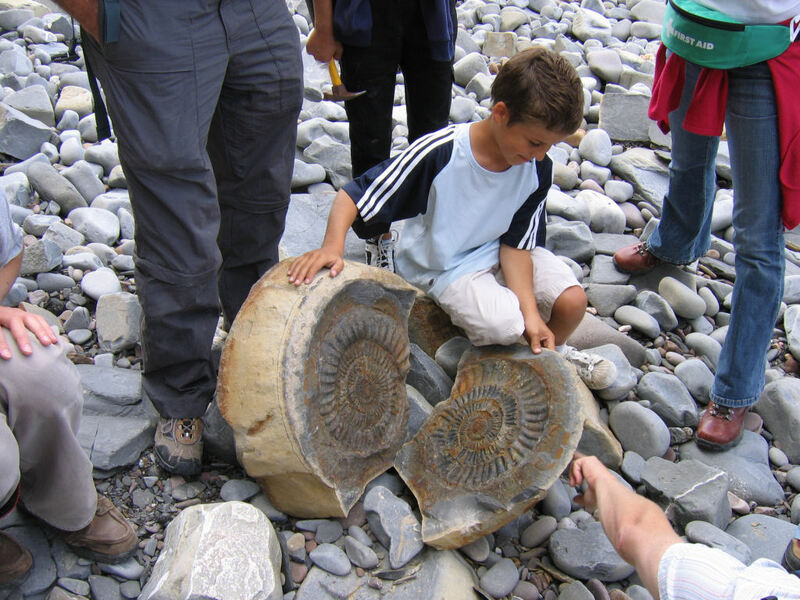 mammoths) as well as more ancient fossil groups such as the dinosaurs, ammonites and trilobites. 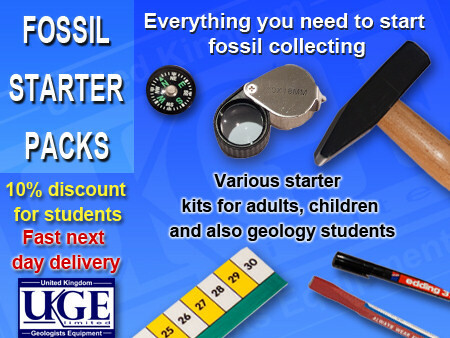 The earliest reported fossil discoveries date from 3.5 billion years ago, however it wasn’t until approximately 600 million years ago that complex multi-cellular life began to enter the fossil record, and for the purposes of fossil hunting the majority of effort is directed towards fossils of this age and younger. 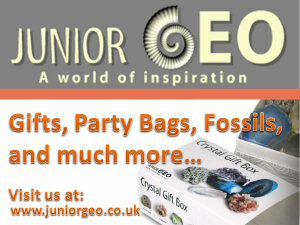 Fossils occur commonly around the world although just a small proportion of life makes it into the fossil record. Most living organisms simply decay without trace after death as natural processes recycle their soft tissues and even hard parts such as bone and shell. 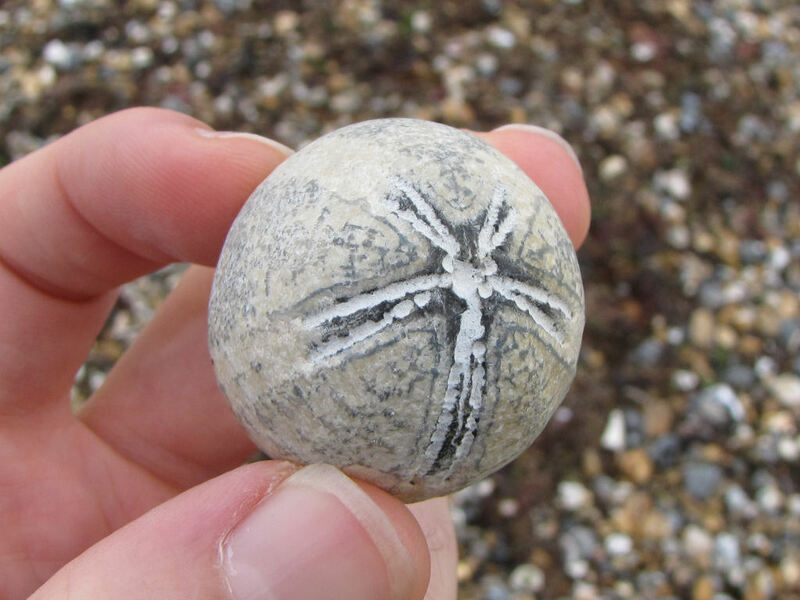 Thus, the abundance of fossils in the geological record reflects the frequency of favourable conditions where preservation is possible, the immense number of organisms that have lived, and the vast length of time over which the rocks have accumulated. 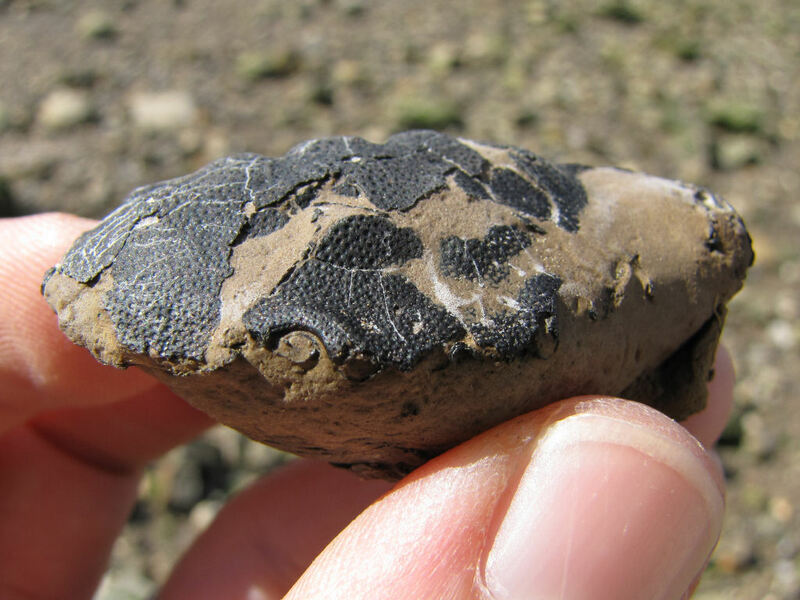 The term ‘fossilisation’ refers to a variety of often complex processes that enable the preservation of organic remains within the geological record. It frequently includes the following conditions: rapid and permanent burial/entombment – protecting the specimen from environmental or biological disturbance; oxygen deprivation – limiting the extent of decay and also biological activity/scavenging; continued sediment accumulation as opposed to an eroding surface – ensuring the organism remains buried in the long-term; and the absence of excessive heating or compression which might otherwise destroy it. Above: An earthquake causes sediment on the seafloor to mobilise, rapidly burying a skeleton on the seafloor. Image adapted from EVNautilus video. 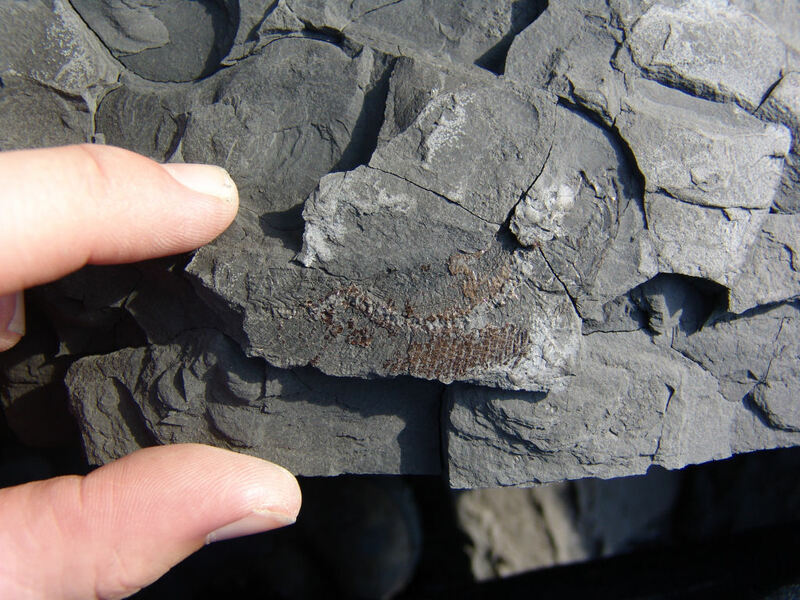 Fossil evidence is typically preserved within sediments deposited beneath water, partly because the conditions outlined above occur more frequently in these environments, and also because the majority of the Earth’s surface is covered by water (70%+). 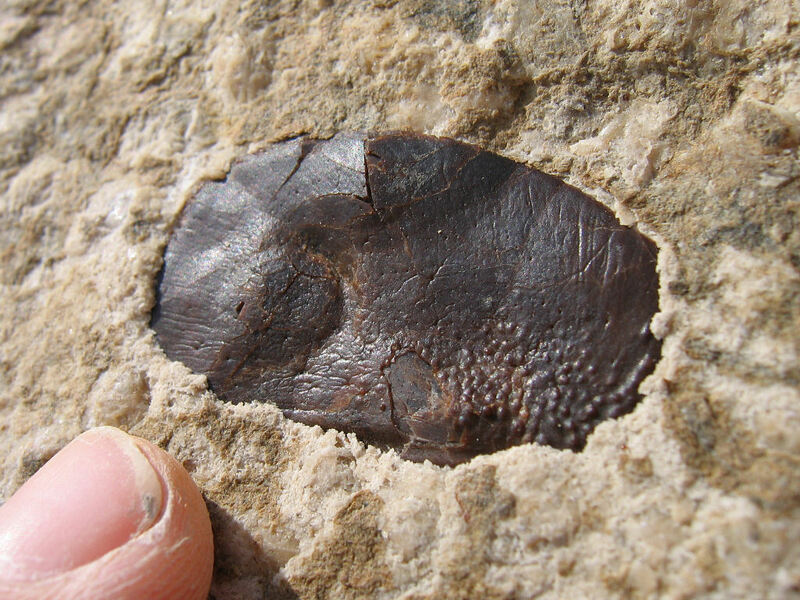 Even fossils derived from land, including dinosaur bones and organisms preserved within amber (fossilised tree resin) were ultimately preserved in sediments deposited beneath water i.e. in wetlands, lakes, rivers, estuaries or swept out to sea. 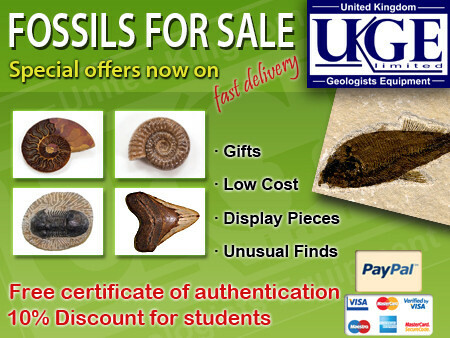 Fossilisation can also occur on land, albeit to a far lesser extent, and includes (for example) specimens that have undergone mummification in the sterile atmosphere of a cave or desert. 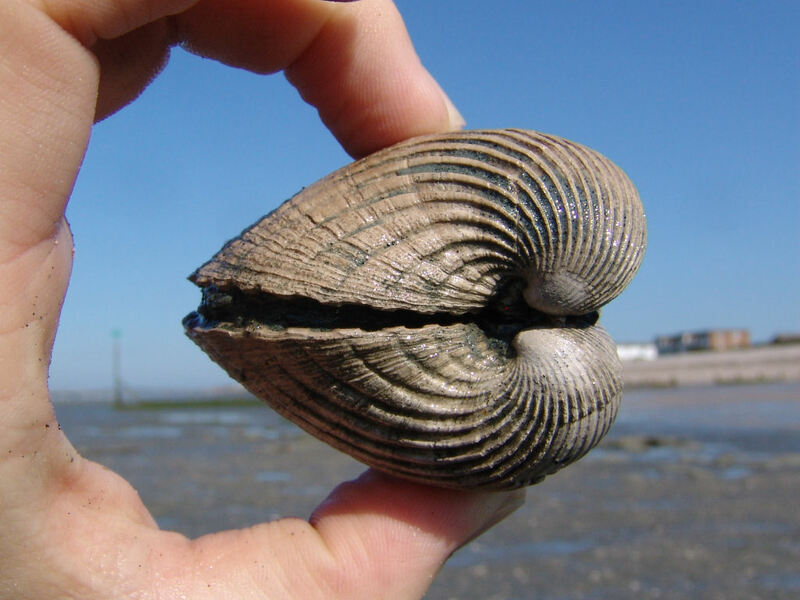 However in reality these examples are only a delay to decomposition rather than a lasting mode of fossilisation and specimens require permanent storage in a climate controlled environment in order to limit its affects. 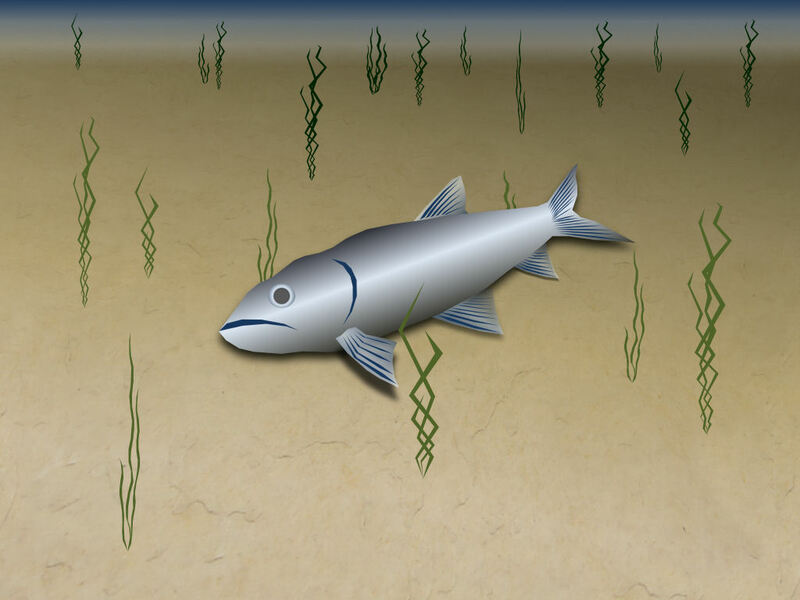 In the following example a fish is used to illustrate the stages associated with fossilisation within off-shore marine sediments. This is just one summarised example, in reality there are countless scenarios that create the conditions necessary for fossilisation in marine sediments. 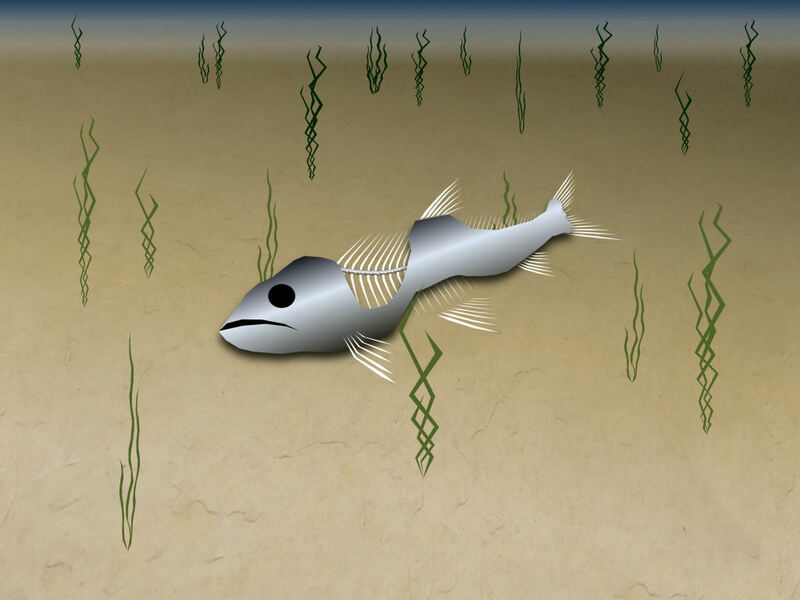 Having reached adulthood and returned to its birth place to spawn, this particular fish reaches the end of its life and dies. 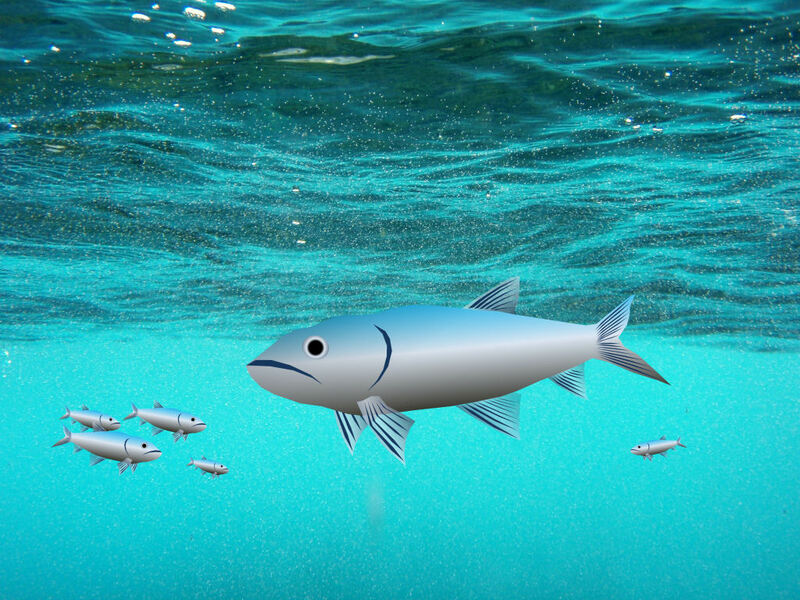 Soon after death the body of the fish becomes water-logged and sinks to the seafloor (note that quite often the gases produced during decomposition cause the carcass to float back to the surface, so the final resting place may be some distance away). More often than not the carcass would be pulled apart and scattered by scavenging crustaceans and other fish, however on this occasion the absence of any large scavengers leaves the fish relatively undisturbed. 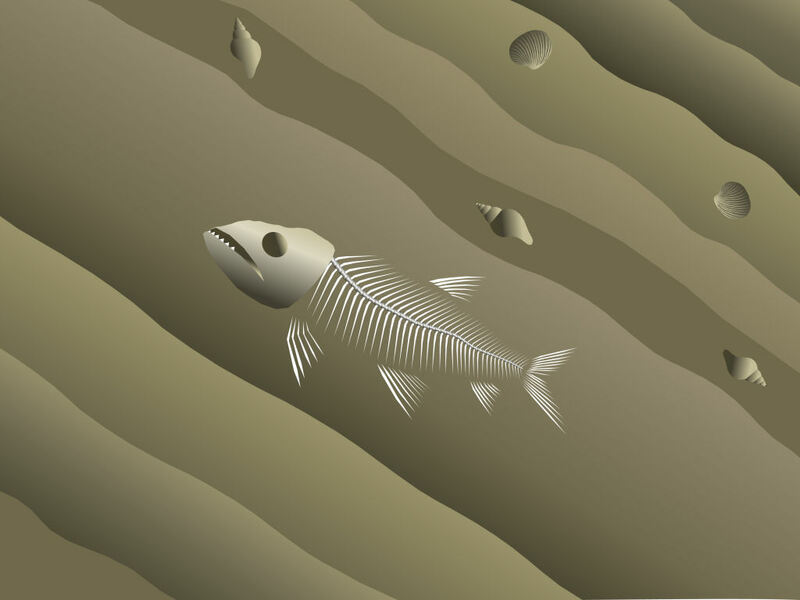 Although fossils can be found in sediments deposited in turbulent (high energy) environments near the coastline, complete/articulated skeletons require undisturbed conditions. 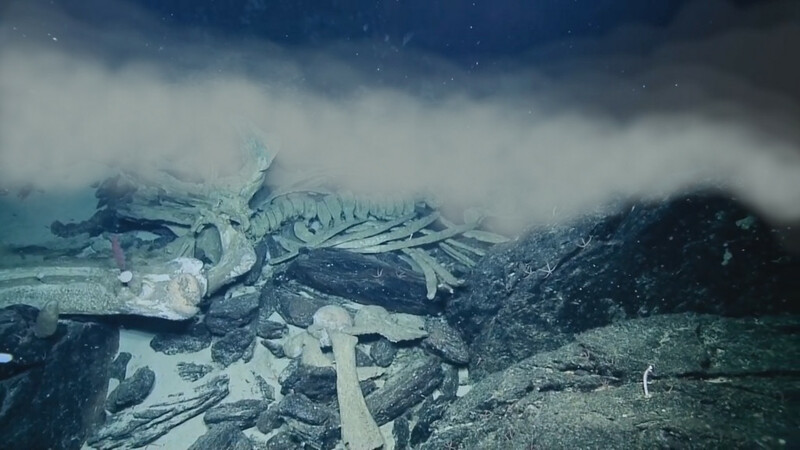 A quiet seafloor with minimal light, low oxygen levels and a soft muddy composition are among the conditions suitable for preserving organic remains. After several weeks the fish is partially decomposed. Despite the calm conditions on the seafloor, several thousand meters into the bedrock pressure is building along an active geological fault. Suddenly the stressed rock slips, sending shockwaves to the rock above and causing the sediment nearby to mobilise. 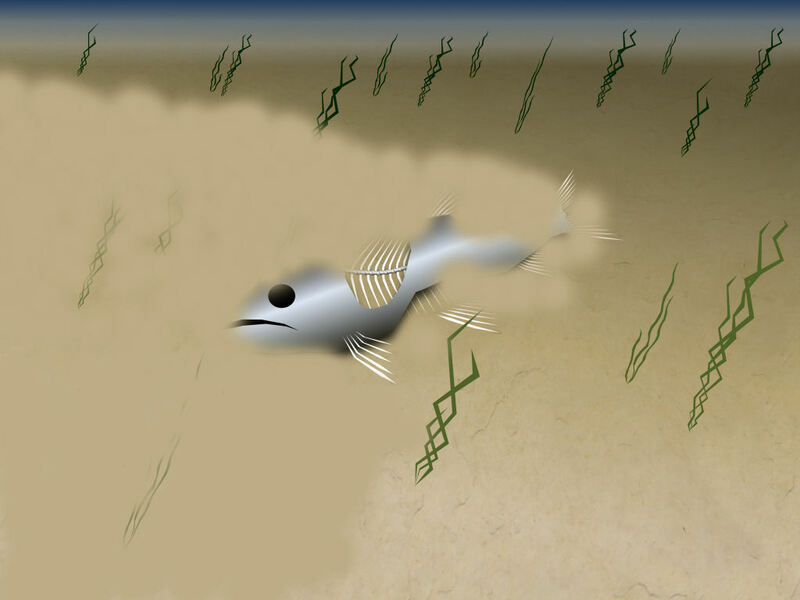 The mobile sediment travels across the seafloor burying the fish in the process, in what is often termed a rapid burial event. 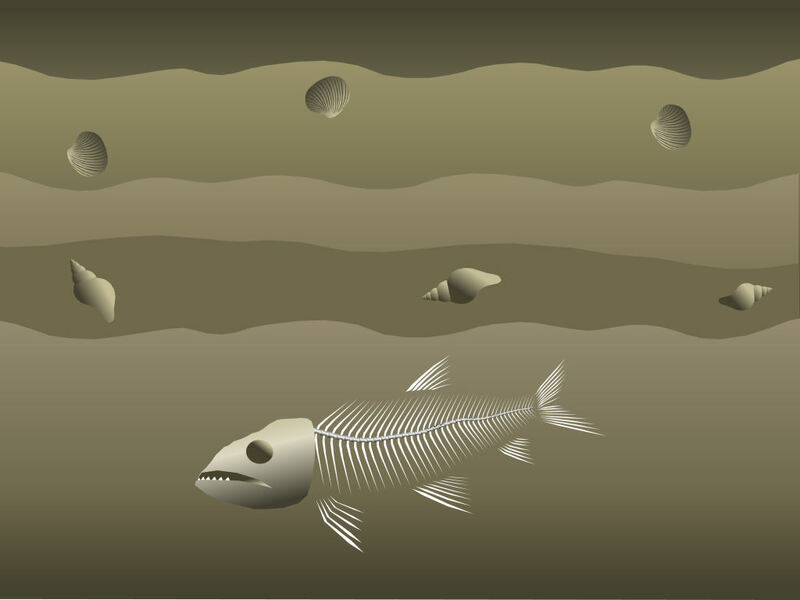 Once entombed beneath the sediment the remaining flesh and soft tissue are broken down by bacteria, leaving just the skeleton in the position of burial. Above: Tectonic activity induces nearby sediment to mobilise, burying the fish in the event. Rapid burial is a common component for optimal fossilisation, as prolonged exposure would otherwise increase the likelihood of disturbance from scavengers and/or currents. 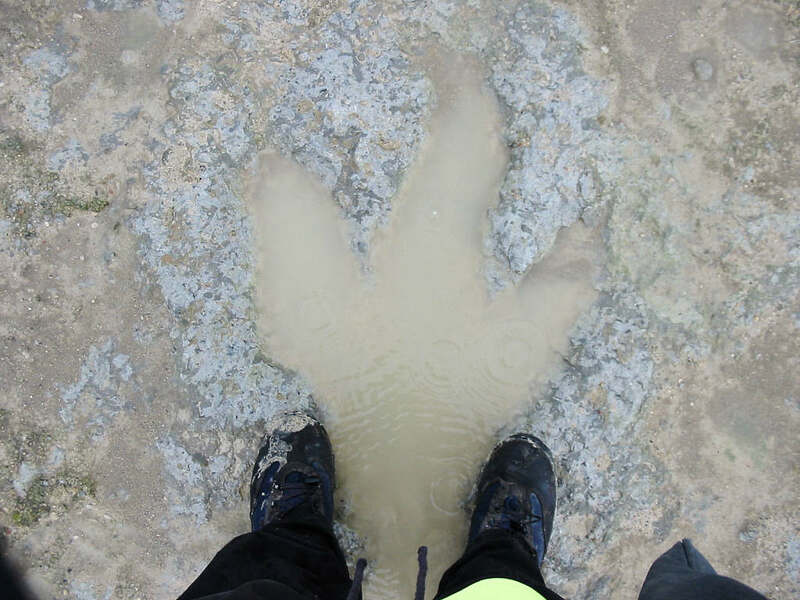 Burial may also occur quickly if a high volume of sediment is deposited in the area following a period of heavy rain that delivers sediment from major rivers (for example). 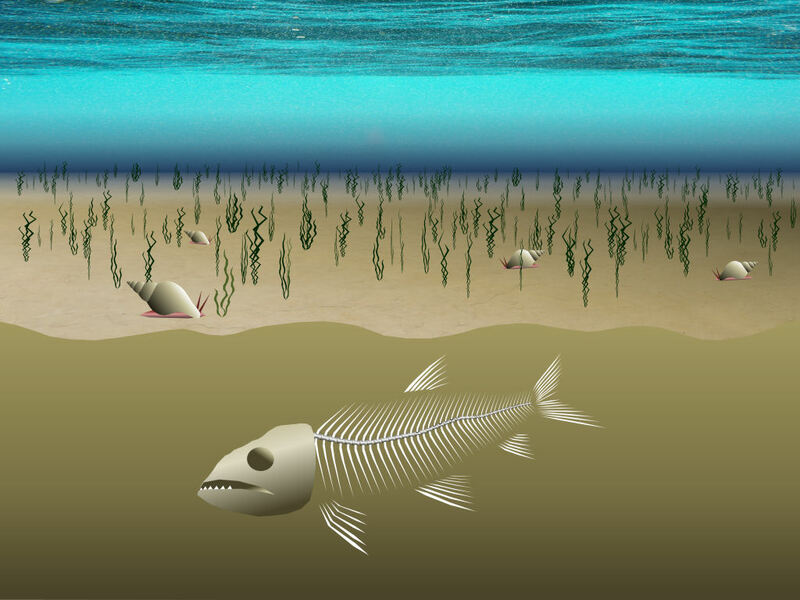 Over time the skeleton is gradually buried deeper by accumulating sediment. Slowly the weight of the sediment compacts the underlying areas, pressing the grains together, driving excess water out, and depositing minerals in the pores, and ultimately turning the soft sediment to hard rock – a process known as lithification. As this process takes place, minerals contained within the waters-saturated sediment replace the original minerals in the skeleton and fill any voids formed as parts of the skeleton dissolve. The process of mineral replacement is known as permineralisation and results in a remineralised copy of the original skeleton. 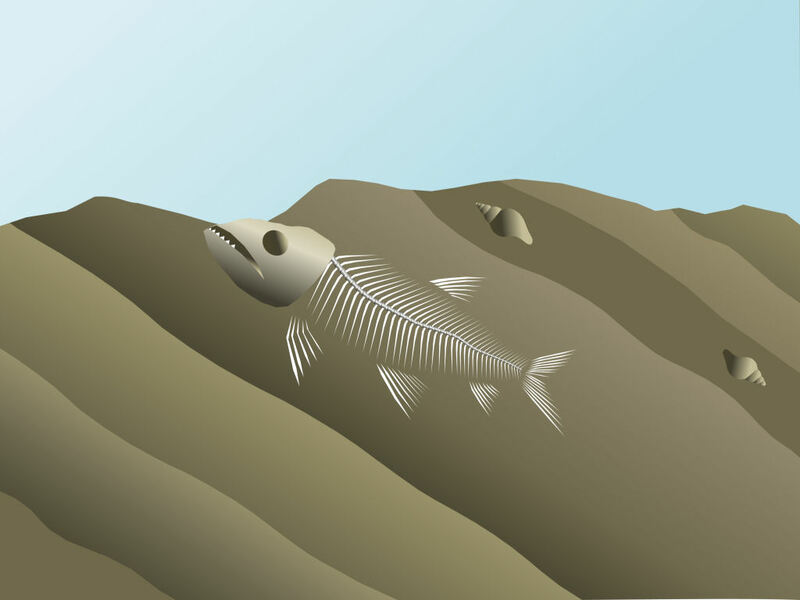 Above: As times passes more sediment accumulates above the fish and the skeleton is gradually compressed and permineralised. Many millions of years pass and the rock remains buried deep within the bedrock; however tectonic forces associated with the collision between neighbouring continental plates have begun to buckle and uplift the bedrock, raising it above sea level and exposing it to erosion. Gradually, the exposed rock is stripped away, until eventually the top of the fish’s skull is visible at the surface. Above: Over time the rock is distorted and uplifted by geological forces associated with continental movement, raising it above sea level. Above: The uplifted rock is exposed to weathering and gradually erodes away, eventually exposing the tip of the fish’s skull at the surface. 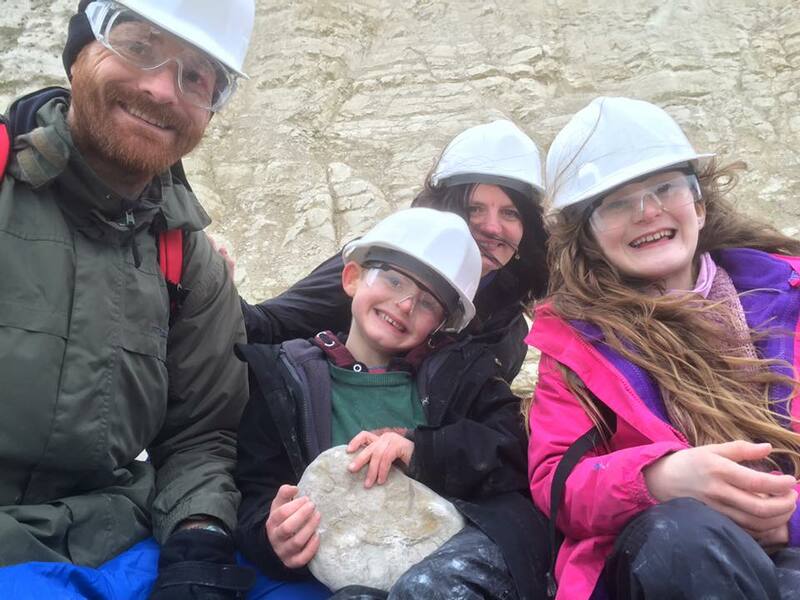 Finally, having lain beneath the ground for millions of years, the partially exposed skull is spotted by a palaeontologist, who undertakes a careful extraction of the skeleton. The process requires patience and precision work to avoid damaging the specimen; a generous amount of rock is retained around the specimen to protect it. 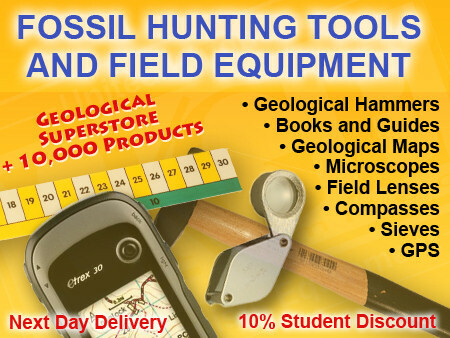 For more information about fossil hunting and extracting fossils click here. 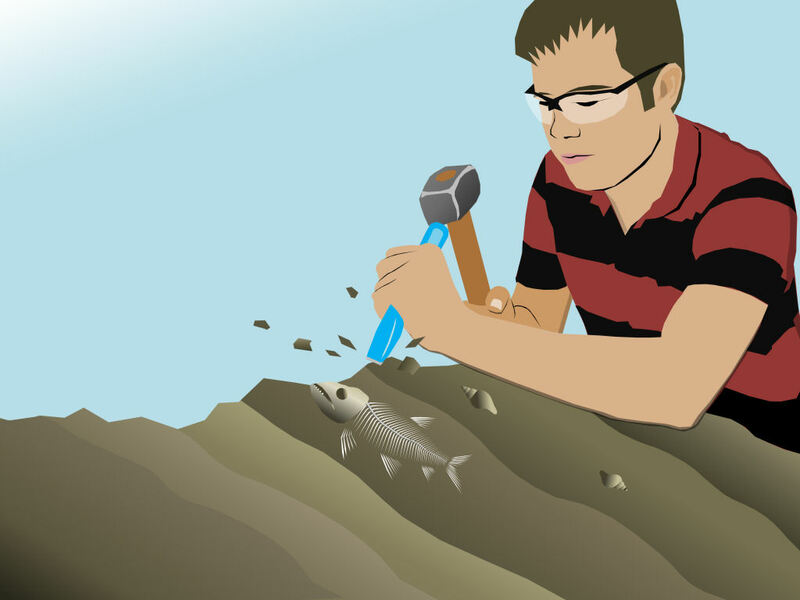 Above: A palaeontologist recognises the fish by the small area of skull exposed and begins to carefully extract the specimen. 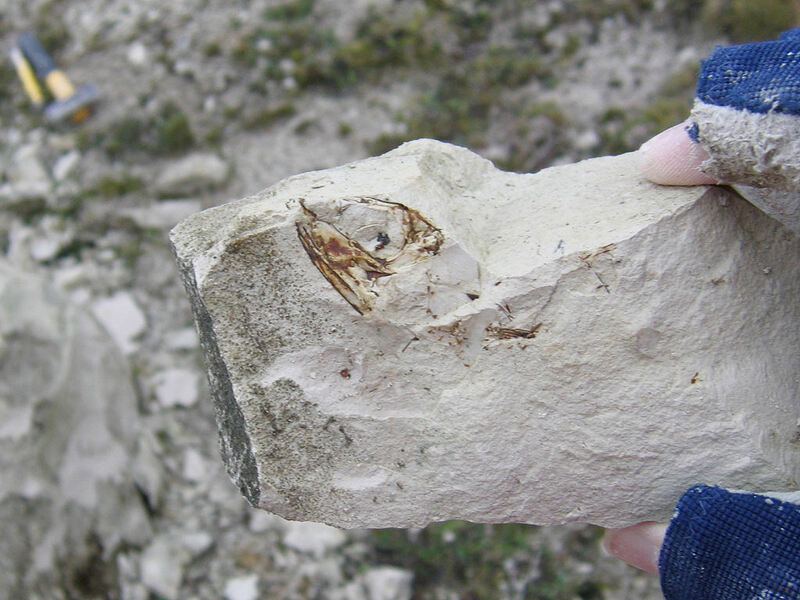 Above: A Pomognathus fish from Houghton Quarry – the skull is clearly visible, and what parts of the skeleton remain are obscured within the chalk matrix. 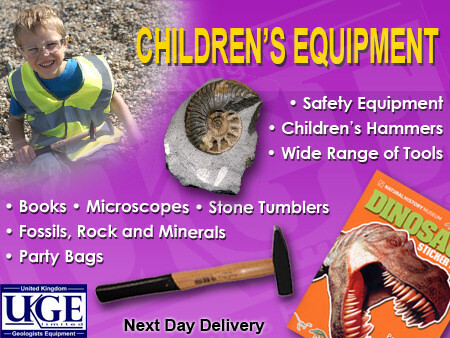 Below are a selection of fossils discovered during the field trips undertaken to produce the website. 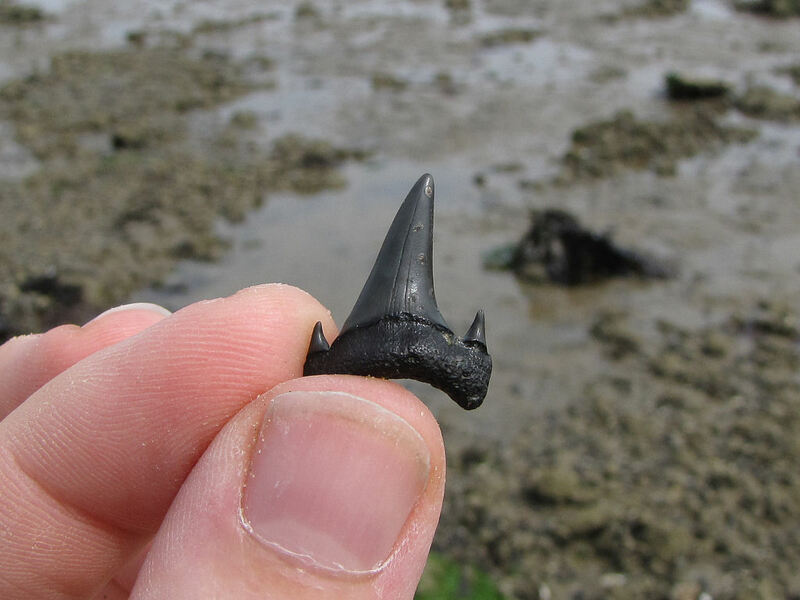 Each photo is accompanied by a brief description of the specimen and where it was found.